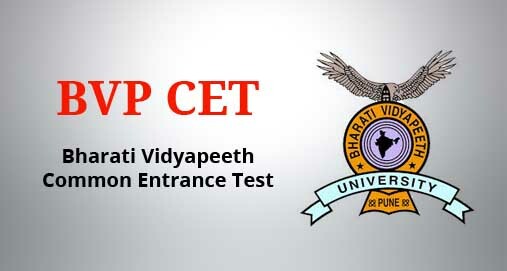 The examination dates for the BVP CET 2019 varies for different courses. The official dates for Engineering, Medical, B-CAT (MCA), B-MAT (MBA) 2019 are mentioned below. What is the date of entrance exam of BVP CET 2018 -Engineering? BVP CET 2018-Engineering exam will be conducted on 27th May 2018. When will BVP CET 2018 results get announced? When will BVP CET 2018 results get announced? What is the exam pattern for BVP CET - Engineering ? Mathematics and Physics both will be having 100 questions each. To know detailed exam pattern, click here. When will be issued the application form for BVP CET B-MAT 2017 (MCA)? The application form was issuing from the first week of Jan. 2017 and the last date of issued application form are third weeks of February 2017.